Winnebago, manufacturer of the Winnebago Minnie travel trailer for sale here at Fretz RV is one of the oldest names in RVing history for many reasons! A few being quality interiors and solid exteriors, the Minnie travel trailer makes RVing a cinch, while still keeping you in the lap of luxury when you are on the road. An open floorplan, a spacious kitchen area, and bunkhouse options are just the beginning, and they are all available to you at month payments as low as $242! If want to find out what really makes this travel trailer something special, check out our Winnebago Minnie travel trailer review. 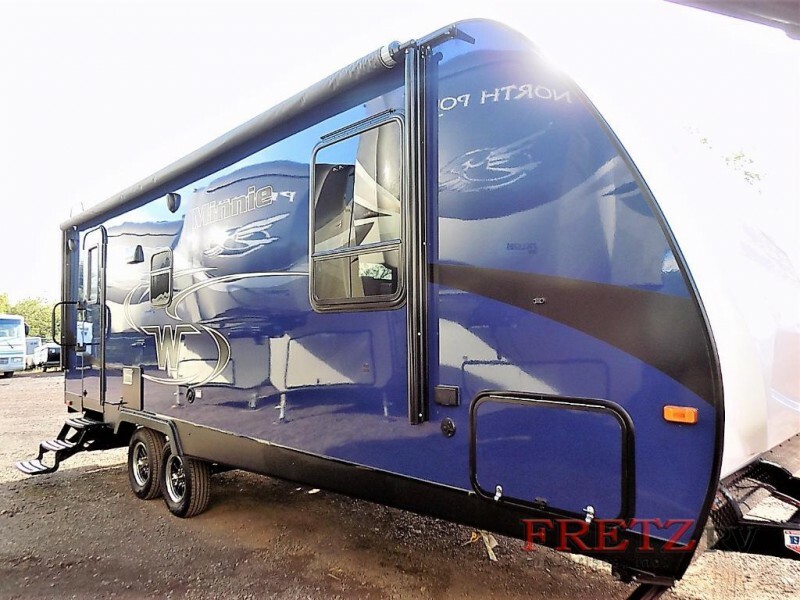 Whether you are enjoying the exterior television option or the patio speakers, the exterior has all of the functions that you will expect from a durable travel trailer, but also comes with a few luxuries to make your travels a little more enjoyable. Plenty of exterior storage means that your RV can be just as functional as it is comfortable when you are on the road. Check out some more of our favorite exterior features for the Minnie. 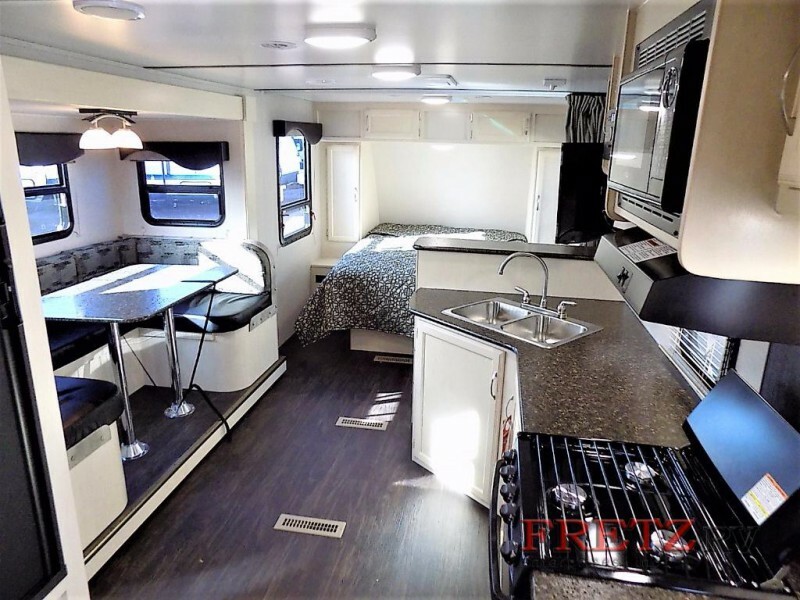 If this sounds like what you are looking for is the Winnebago Minnie travel trailer, you absolutely need to check out our incredible inventory of all our Winnebago Minnie floorplans here at Fretz RV. Contact us to get more information about one of these amazing RVs and let us help get you into the camper that you’ve been searching for!